I have read the product description & color limitations below. I have verified that my surface paint is decal friendly from the list below. File MEETS or EXCEEDS the Requirements Listed Below. I understand that providing a file that is blurry/pixelated or below the requirements may result in a poor quality, non-refundable decal. I understand that vector files will reproduce best. Uploads must be in vector format or 300pdi and at least 2000 pixels wide to submit. No PNG files Accepted! If you have a high resolution graphic or vector file, and would like a printed logo wall sticker or business logo wall decal printed as a single piece ... this is the best option for you! We print CMYK and can print your graphic or logo on our large format digital printer. Please read the product information in question/answer format below for complete details about this product, then contact our design team for help with additional questions. What types of files work best? For best results, we work with the vector file or high resolution image of your logo. VECTOR GRAPHICS: For a vector graphic file, contact your marketing team, or the graphic designer who created your logo for a vector file. Typically a vector file will end in .EPS, .AI or .PDF. If you do not have a vector file, please contact our team with the best quality file you have, and we can help you with options to create the business logo sticker for you. Upload your vector file in line art format. You can obtain the correct file from your logo designer or marketing team. All fonts should be converted to outlines and the format should be EPS, AI or PDF. HIGH RESOLUTION GRAPHICS: If your image is at least 2000 pixels wide, resolution of 300 or higher, in JPG, TIF, or PSD format. If you are unsure if your artwork meets or exceeds our guidelines, please contact us and attach your artwork for reference. Low resolution or blurry images will produce low resolution/blurry images and/or bumpy jagged lettering when blown up. Can I submit a file containing multiple logos to be produced at one cost? No, each logo must be ordered individually. This listing is for one logo only. If you have a file containing multiple logos and need our help separating the logos to place your order, please email our design team for help with a custom order. Custom artwork is non-refundable, if you upload a file that does not meet our requirements listed above, we are not responsible for poor quality output. What are the logo size limitations? Limitations on overall size are determined by the size of our equipment. 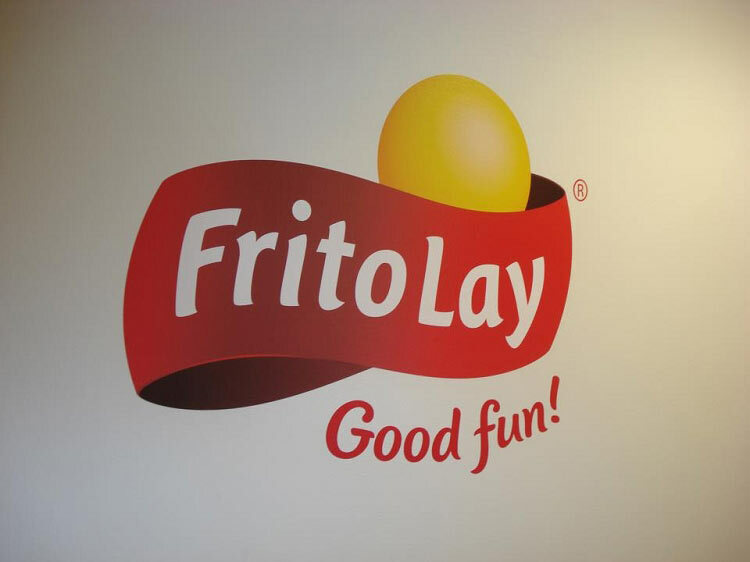 Our print capability is 60" wide, therefore we can make round or square logos up to 55" wide only. 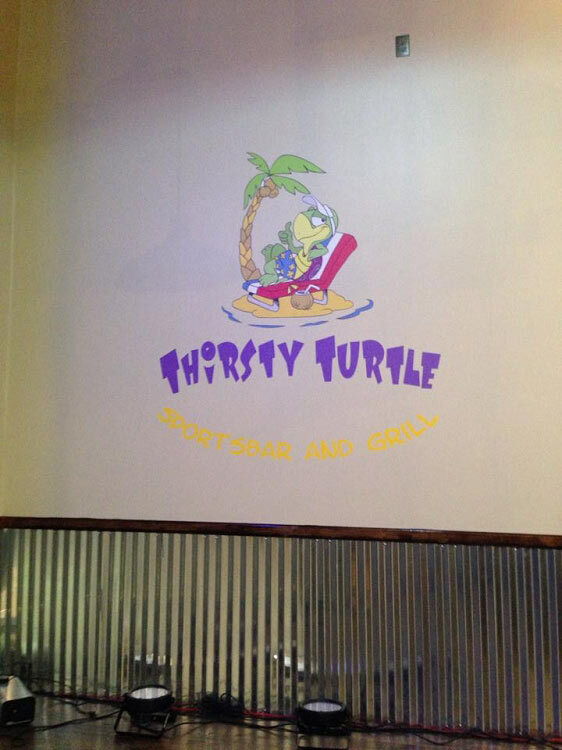 For horizontal or vertical logos that are not square, we can go as long as 96+ inches. What type of material is the decal printed on? 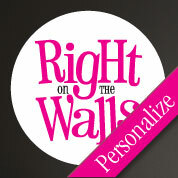 Your printed logo wall sticker will be printed on our white linen removable/repositionable wall decal material. The material has a slight linen texture and will nicely conform to walls, around corners or slight imperfections on your surface. Will this logo print have a background? Yes, this product is printed on white linen so there will be a background to your print. If your artwork is circular, we will die-cut around the circle perimeter, and your artwork will be printed inside the circle on a white background. If your logo is rectangle or horizontal, it will have a rectangle or horizontal cut. If you are interested in getting your logo produced without a background, please check out our die-cut vinyl logo product. Will this logo have die-cut letters or shapes? No, this product is printed on white linen so there will be a background to your print. If your artwork is circular, we will die-cut around the circle perimeter, and your artwork will be printed inside the circle on a white background. If your logo is rectangle or horizontal, it will have a rectangle or horizontal cut. 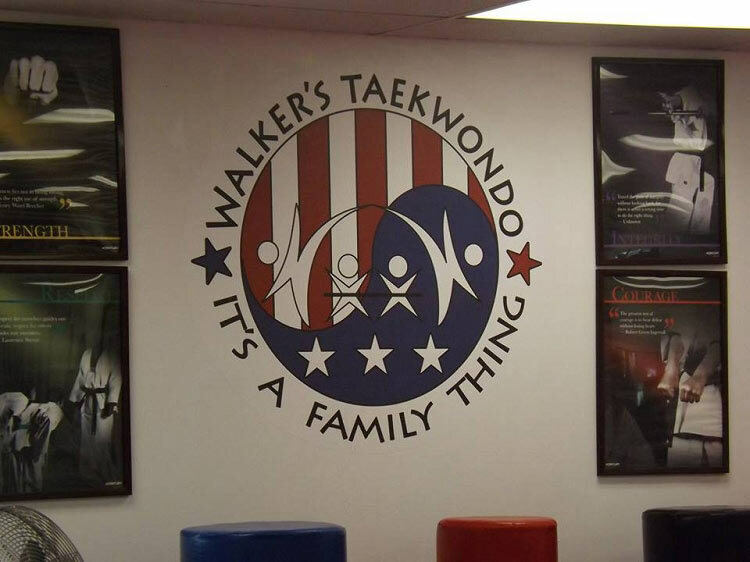 If you are interested in getting your Custom Business Wall Decal produced as a die-cut without a background, please check out our die-cut vinyl logo product. Can ROTW match PMS colors? We print CMYK. We can convert PMS colors to CMYK. If working in Photoshop, you can quickly find the PMS equivalent in CMYK, or use a Pantone to Process conversion chart. If you have additional questions, please contact us. Can ROTW produce logos with gradients or shadows? Yes, your Custom Business Wall Decal will be printed on our white linen removable wall media. We can print your gradients or shadows in your logo. Will the wall decal stick to all surfaces? Our removable linen material is the most forgiving and easy to apply to most surfaces. Because there are many types of surfaces for which the product can be applied, and different types of paint and other surfaces, we make no guarantee that the product will stick to your space. ** Any glaze or faux paint finish. ** High Gloss Painted surfaces. ** Heavily Textured Walls may not accept vinyl application. ** Knock Down Textured Walls may experience difficulty with edges lifting. ** Unpainted cinder block, wood or other rough surface. ** Painted wood or plywood, may have difficulty with decal edge lift. ** Painted paneling, product may pull paint from paneling when removed. ** Cracked, Crumbling or Peeling walls (plaster or paint). We recommend allowing the paint to cure for at least 3 weeks before application to get the best bond. Let your paint cure for 1-2 weeks before placing your order. Are the printed business logo wall decals easy to apply? Yes. Our printed logos come in large pieces (typically one piece) and can easily be applied in a single step. For large decals, we do recommend 1 or more additional people to help hold the decal in place during installation. Can logos be produced in colors other than in the art file? Are the wall decals easily removed? Your business logo will be removable and residue free, made of the highest quality think colored removable linen material. 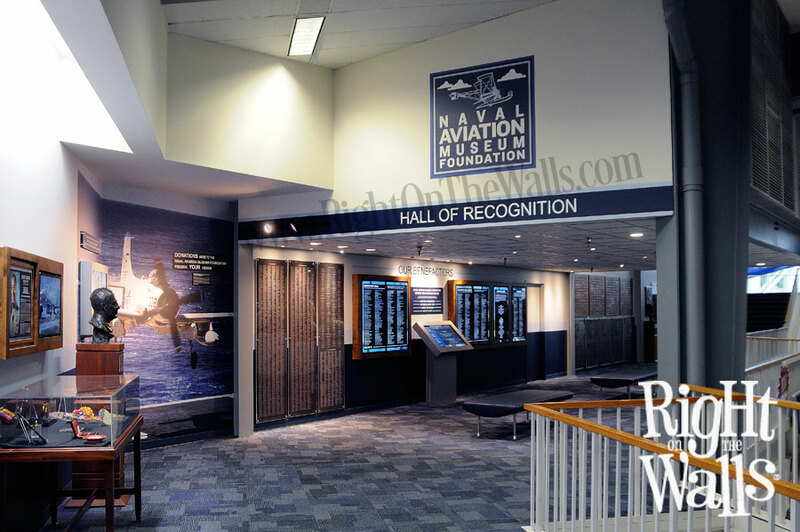 The printed wall media is repositionable wall decal. Our product is guaranteed wall-safe when applied as directed. Can I store my decal after purchase and apply at a later time? For best results, apply your decal within a few days to a week after receiving in the mail. Follow our directions and email us if you have questions. Decals are subject to change in their environment if stored in hot, cold, dry or humid environments that may affect your installation. We do not guarantee your decal will apply after 30 days. Can I get a proof before my logo is produced? We do not provide a proof prior to production. If you would like a proof, please email us with your request immediately after placing your order.